Just couldn’t resist posting about my favourite tennis family. They are just so scrumptious!! 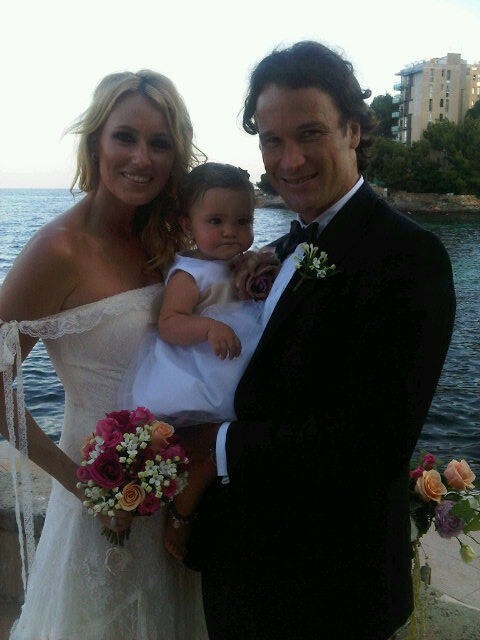 Carlos Moya has officially made Carolina Cerezuela his Mrs. They were married on Thursday in a small & private ceremony in Llucmajor, Mallorca. I think they make such a great couple and I think you’ll all agree this pic is just adorable. All three look amazing! ← Something to Think About!